Unlike Japan, US is basically an individualist society, in which you care for yourself. So, you have to "buy" a health insurance "individually", not like you "join" "everyone's" insurance like in most of the developed countries, since there is not such a system here. There is a pension system called Social Security, but obviously it is not fully taking care of the life after retirement. So you save up your money by yourself using 401K or something similar. So the US is considered as a country of individualists. But still there are many social welfare that Leo is receiving or the applications are being processed now. Below is the summary. 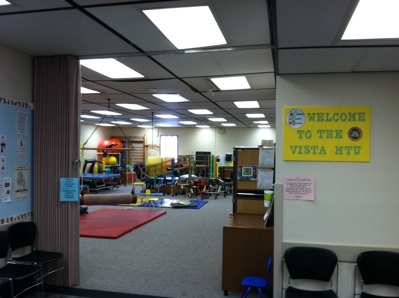 US virtually has no public preschool or daycare system, so it is all done by private companies or churches. In my area, it costs approximately $1000+ per month with 5 full days. It is very expensive here. Leo was going to one of those preschools when he was 3 years old and was able to walk. But since he became unable to walk by himself (Jan. 2012), he has been admitted to the public preschool with special education program. It is all free and Leo is having special education specifically planned just for him. 3 hours per day, 4 days a week. He is always busy in special classes with Speech and Language pathologist (SLP), Occupational Therapist (OT), Physical Therapist (PT), and others, but he loves the school so much. Since we moved to the current address, he is going to a different preschool, in which he is getting one-to-one assistance. They said they may get another person just to take care of him when he is at school. I cannot appreciate this enough. Thanks, teachers! 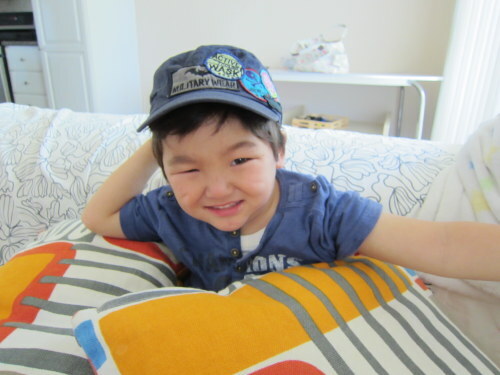 Since May 2012, Leo is having OT/PT sessions (30 min. each) per week at California Children's Services (CCS). It used to be twice a week, but there were no sign of improvement observed in the annual performance review, so it was actually reduced to once a week. CA is in budget crisis, so it is understandable. And CCS provides medical equipment and he got his braces here. Now we are waiting for a wheelchair, gait trainer and bath chair. Leo cannot live without CCS.